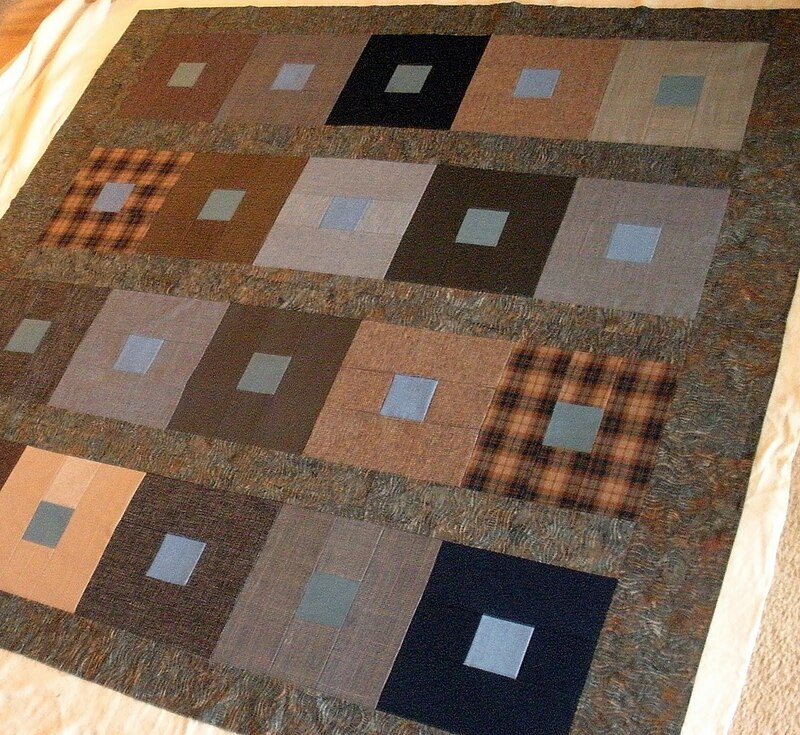 …possibly the cutest “up-cycle” project I’ve ever completed. Over a year ago, I was trying to help my mom sell an entertainment center via craigslist and Facebook. 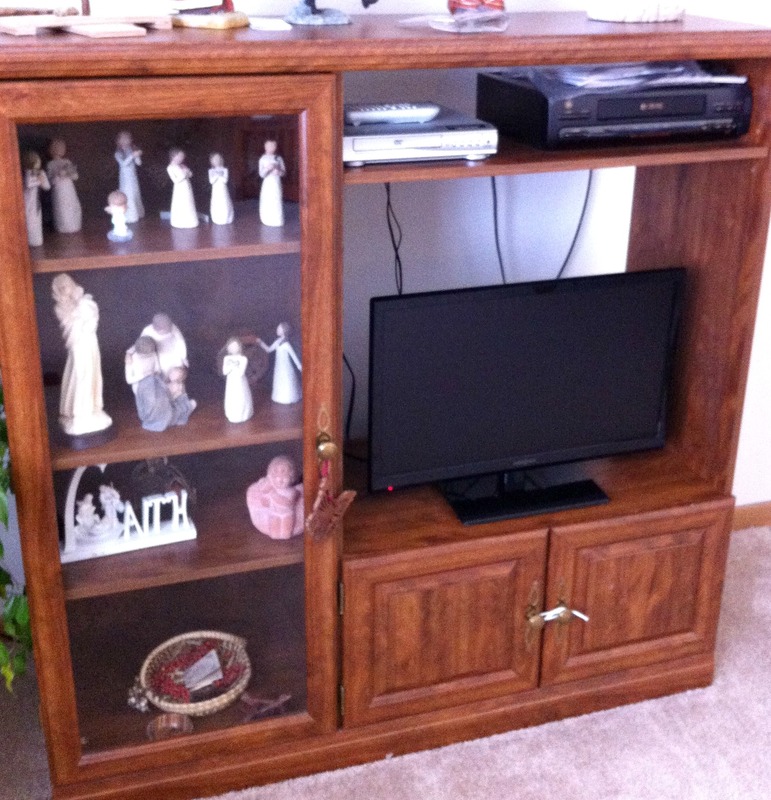 It didn’t fit her new television, so it had been moved to her garage. 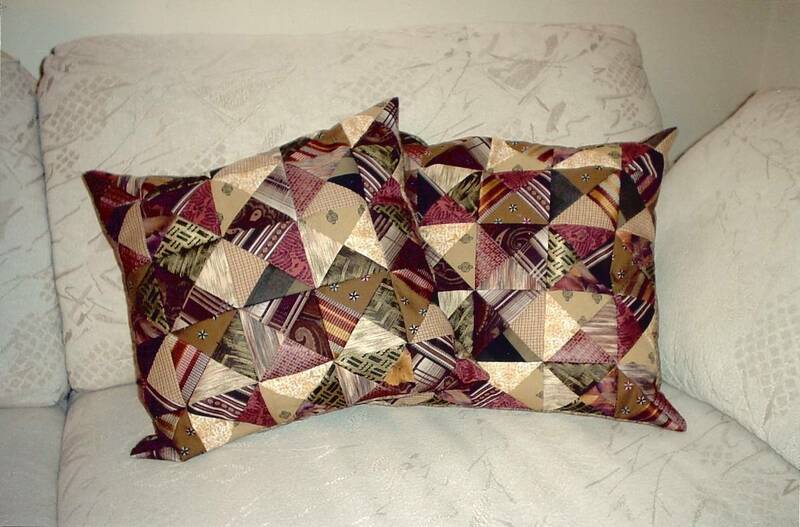 Well, we couldn’t sell it, we couldn’t even give it away — literally — our local salvage/resale shops won’t take them. So, it became a dinosaur taking up space in my mom’s garage. I sent the pin to my sister and a plan was hatched. Just before Christmas, we moved the entertainment center from mom’s garage to my garage, and we started painting and remaking it as a surprise for my niece. 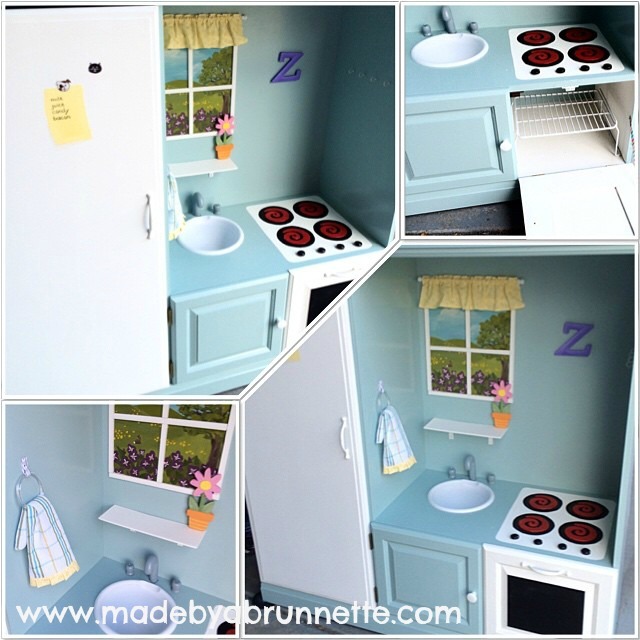 We had a lot of fun brainstorming ideas… the sink is a cheap plastic mixing bowl, the faucet is the top of an m&m candy cane that we spray painted, the oven “rack” is a shelf organizer, the burners and stove and faucet knobs are all from the unfinished wood aisle at Hobby Lobby. 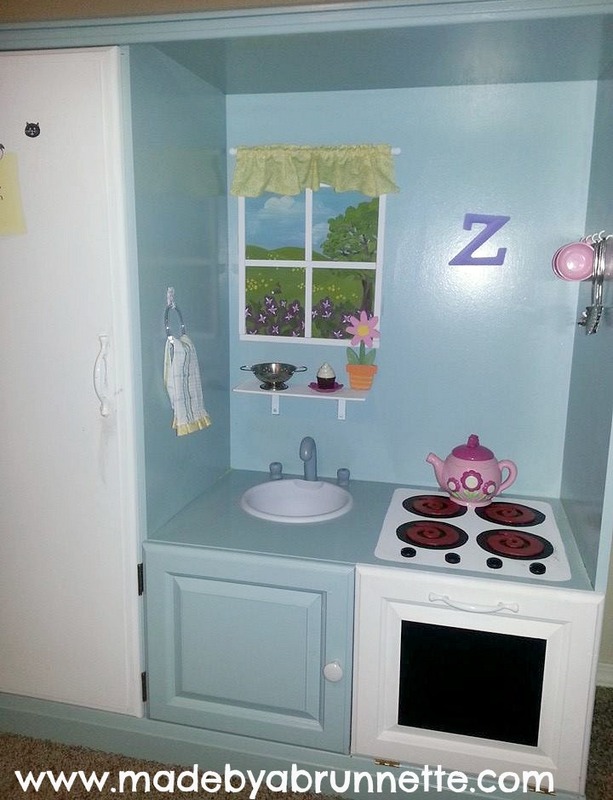 We used leftover paint from other projects, and bought kitchen cabinet knobs to use as handles. 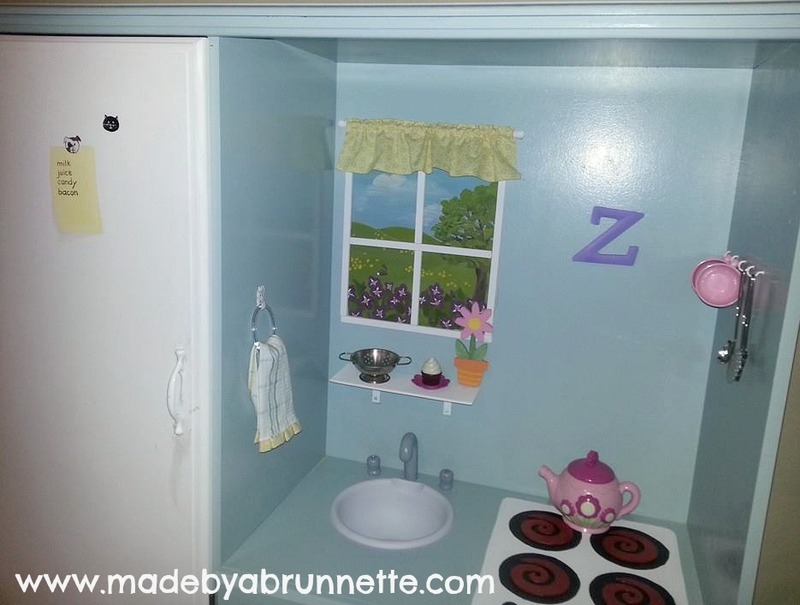 The inside of the fridge is painted all white, and the shelves are repurposed as refrigerator shelves. The investment in this project in terms of dollars was pretty small. I made a valance for her “window” out of this yellow Sunkissed fabric by Sweetwater, and trimmed the wash clothes my sister bought for “towels” in the same. The “towel ring” is a plastic scarf ring from Target that I made a little leather holder for. We added cup rings to the opposite wall to hold her utensils. We moved it fro my garage, over to my sister’s basement play area on New Year’s weekend, while Zoe was napping. When we had it moved it, I went into her room to wake her up, and I carried her downstairs to see her surprise and she woke up in a BIG hurry when she saw it! 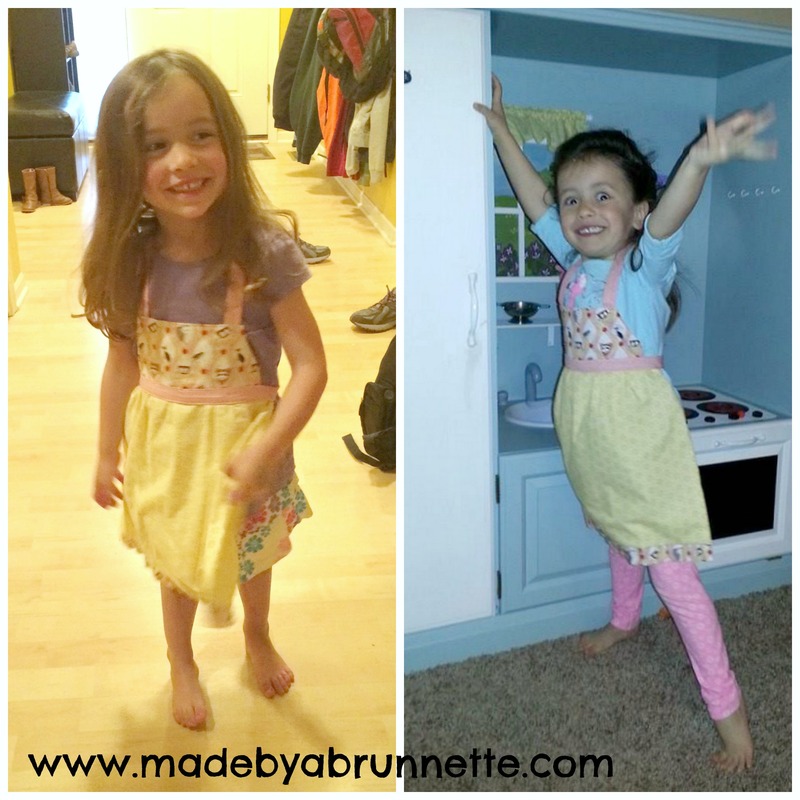 (Her brothers were just as excited) A few weeks later, I finished the little apron I made her to match–once she tried it on, she wore it the rest of the day! 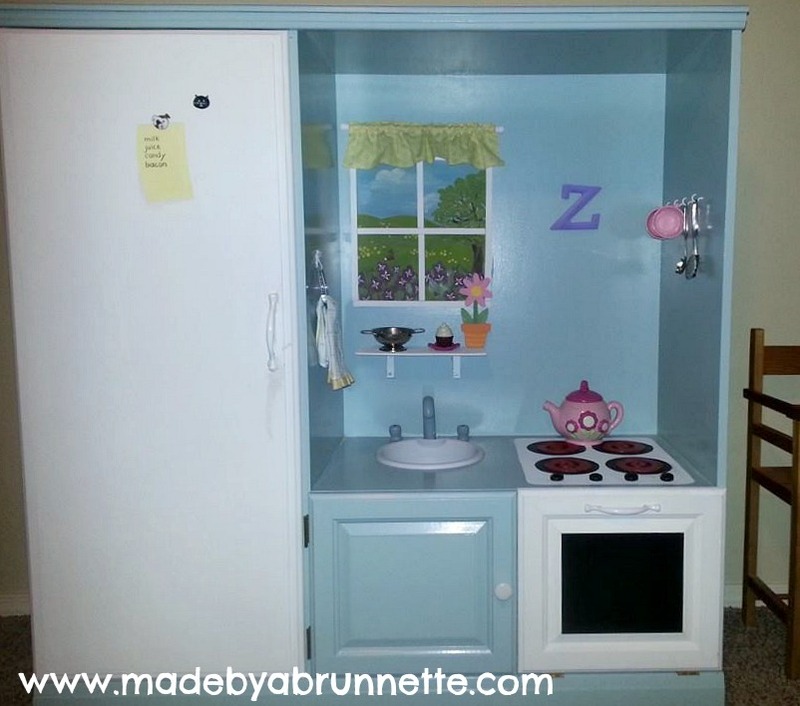 She loves her kitchen, our mom loves that it’s not sitting in her garage anymore, and I love that we didn’t have to send it to the landfill. Win-win. So, I learned from my friend Shelly’s website that a Necktie Social was a Old West cowboy term for a public execution by hanging (gulp.). But it could also be used literally, referring to a social event where neckties were donated to be auctioned off for charity. Shelly hosted a modern necktie social, you can read more about it here. 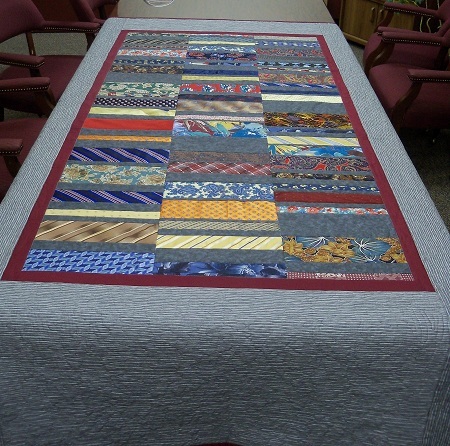 When I made the Suits Me Just Fine Quilt as a commission this summer, my client and I discussed making a quilt from her father-in-law’s ties as well. 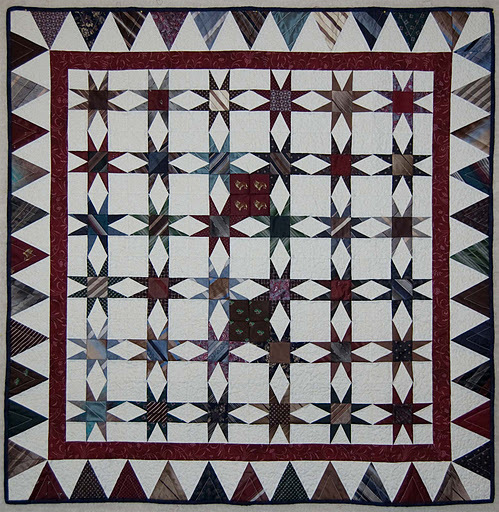 Even though she decided to hold off on the necktie project for right now, I thought I’d share some of the inspiration quilts I found online. 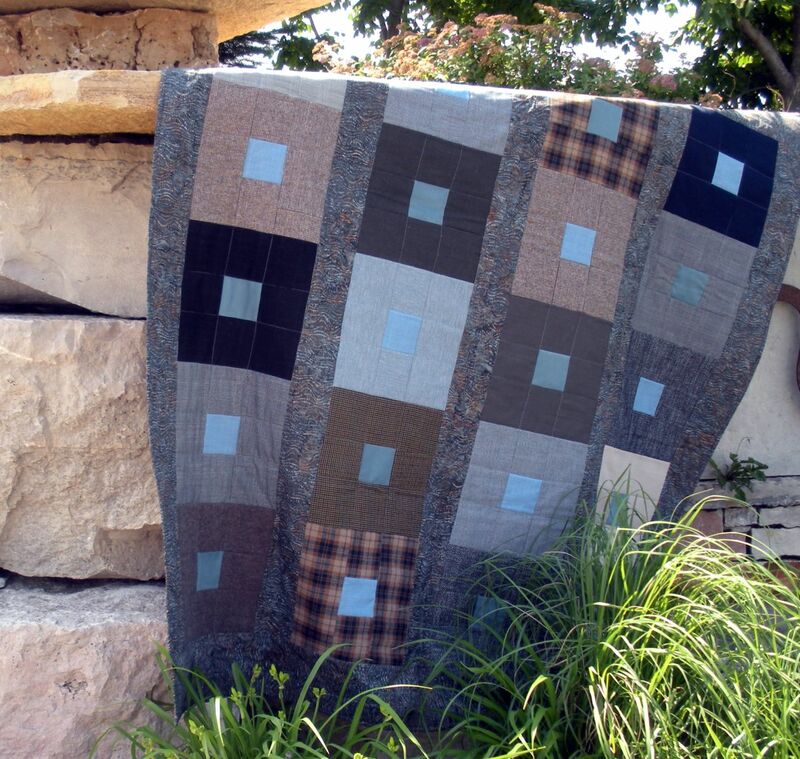 It’s amazing what quilter’s have created with these discarded, or left behind, items of clothing. I say left behind, because many times these are created in memory of the loved one who used to wear them. 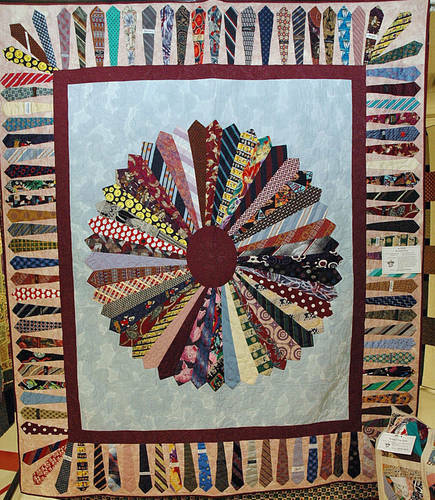 This fan quilt is a clever way of taking advantage of the natural shape of a necktie. Made by Pat of Bird Nest on the Ground. 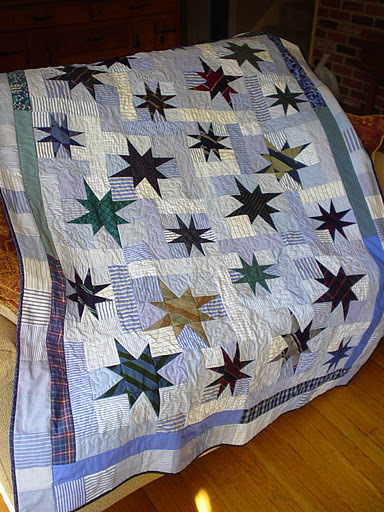 She added some great details to it, and the quilt honors a generous friend who is no longer here. 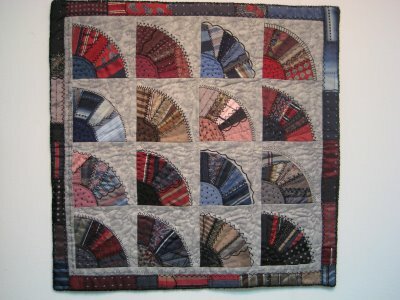 The patchwork pillows were also made by Terry, of Quilted With TLC–what a great idea to use up the extra neckties or make a smaller project with fewer ties! 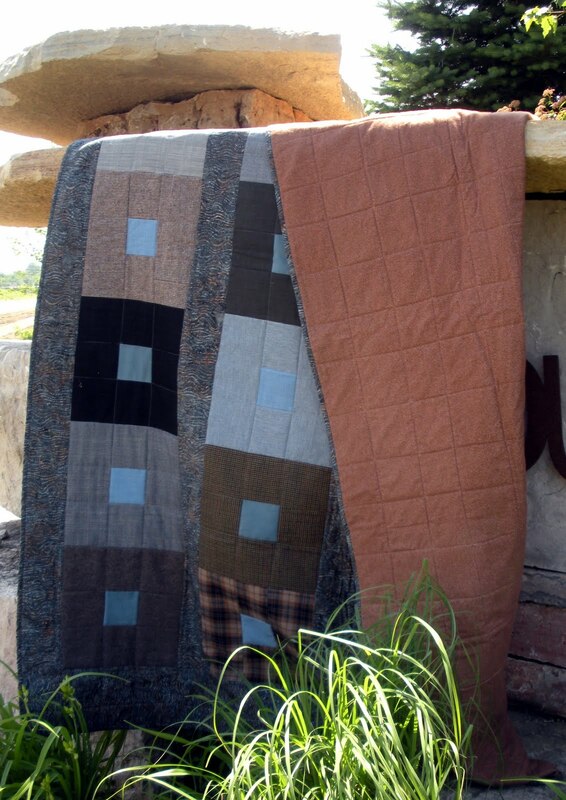 and…there is still time to get in on my Aurifil Giveaway! I mentioned the heat yesterday, there was no way I was going to have this baby laying across my lap when the outside temps were pushing 100 degrees. 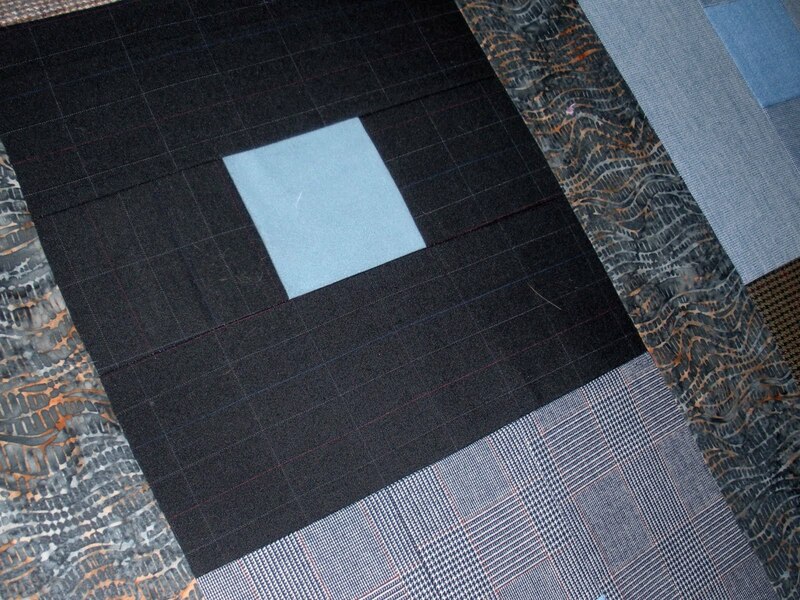 Did I mention the backing is flannel? Needless to say, it didn’t get finished last week as planned. 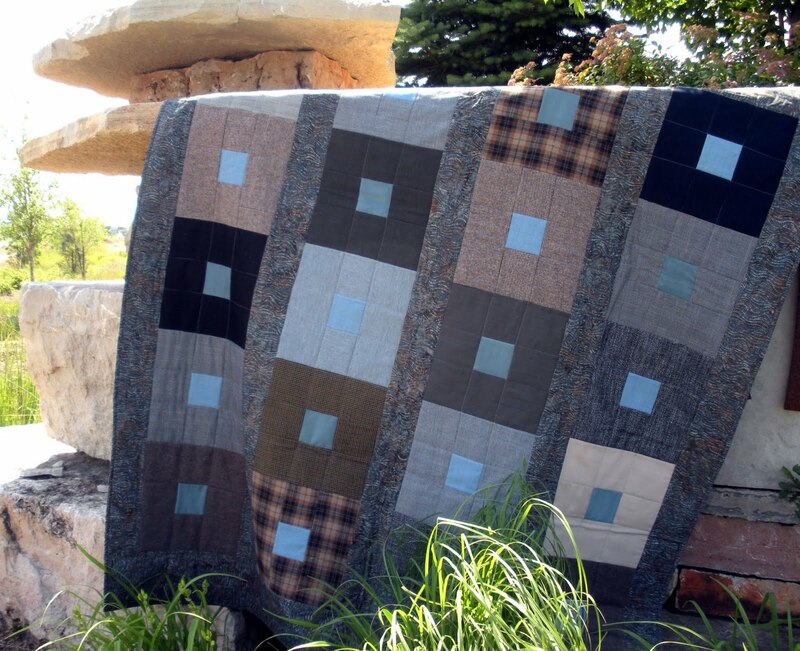 But I’m quilting it now, and hope to deliver it to my customer by Fathers Day, this weekend! 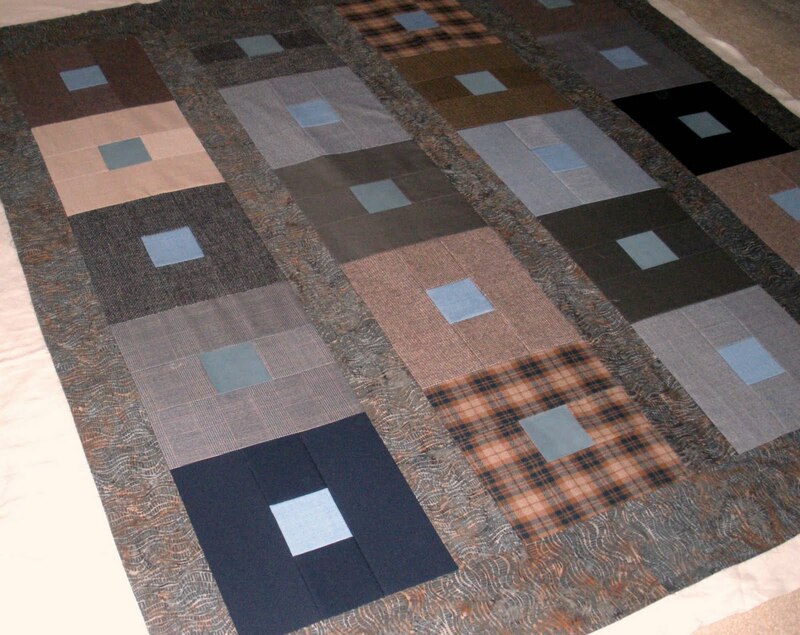 When I started sewing these blocks at a retreat this Spring, I kept referring to this as my “ugly quilt”. 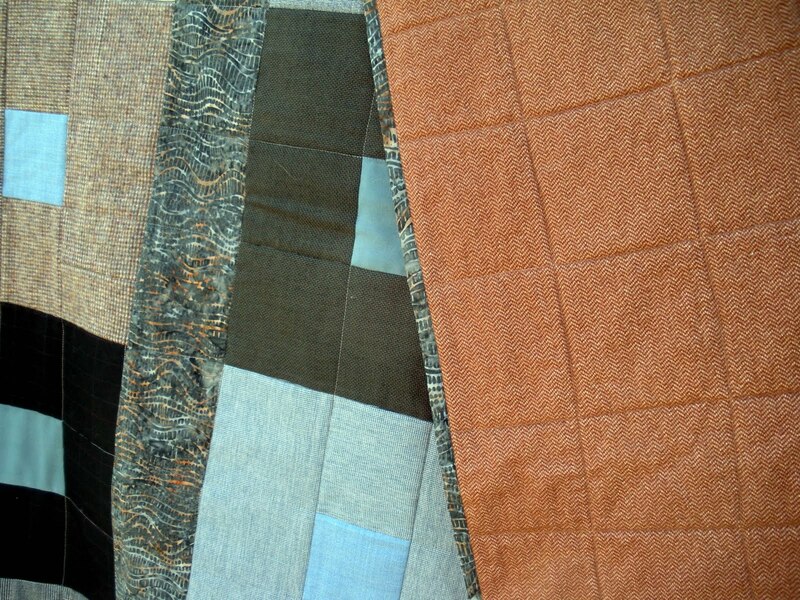 But now that it is coming together, it’s really starting to grow on me… I think it’s those flashbacks of the fabrics of my 1970s childhood that bothered me at first!